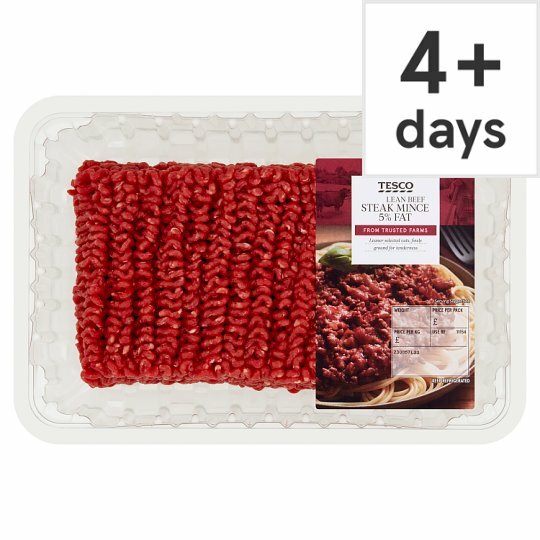 Lean beef steak mince 5% fat. From Trusted British Farms. We work in partnership with trusted farmers to ensure high welfare standards from farm to fork, to deliver great quality beef.